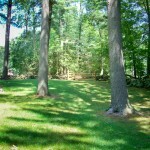 Compared to our CT house, our house in MA has even more ragged old White Pines that need clearing. 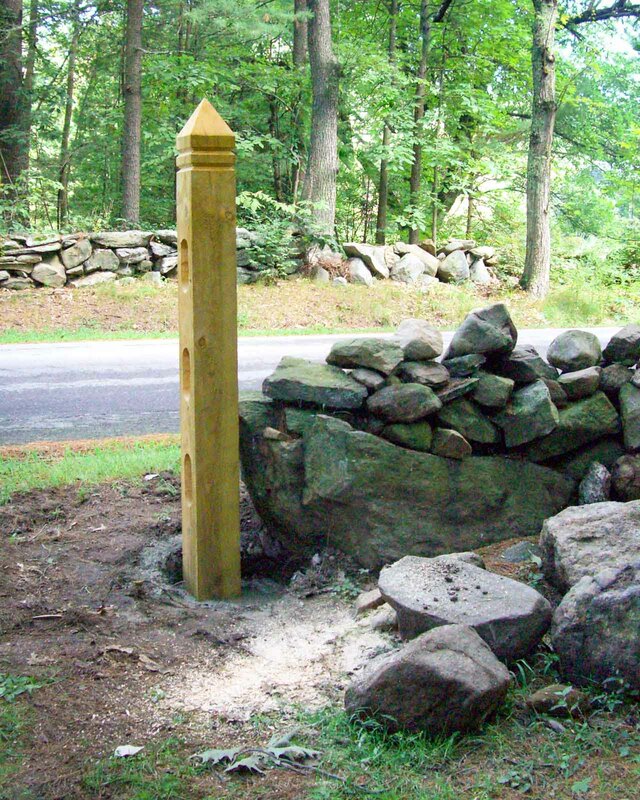 I haven’t yet had a chance to get really started, but I did take one dead tree down recently when I needed to build a section of rail fence to act as a gate in the stone wall. 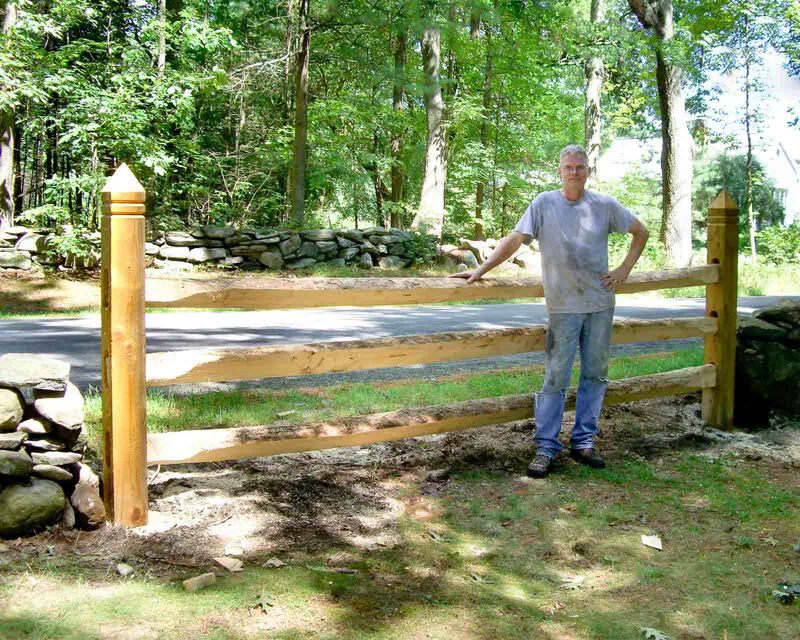 After cutting and setting posts to match the mailbox post that I made, I needed a 14 ft section of rail to fill the gate opening. 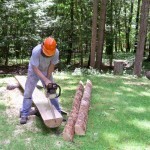 This is far longer than the split rails available at the store but there was a simple solution. 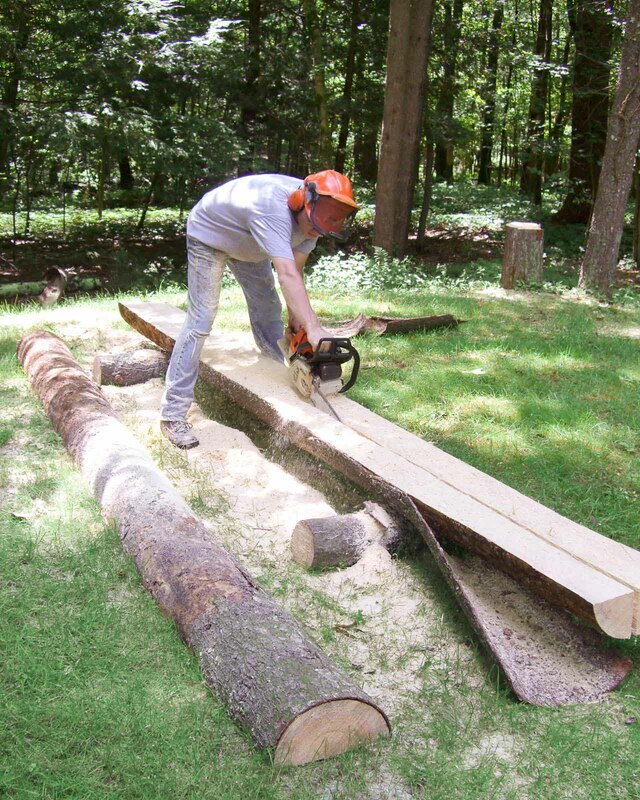 I selected an old dead tree about 12 inches in diameter and cut it down, then quartered it and shaped the ends of 3 of the quarters into split rails. 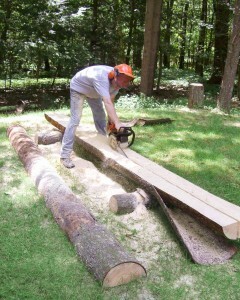 The chainsaw and my back got a workout, but I was pretty happy with the split-rail gate. First, I had to take down and re-stack the rocks to create a generous passway through our stone wall (you can see a few at right which were too heavy to move far!). 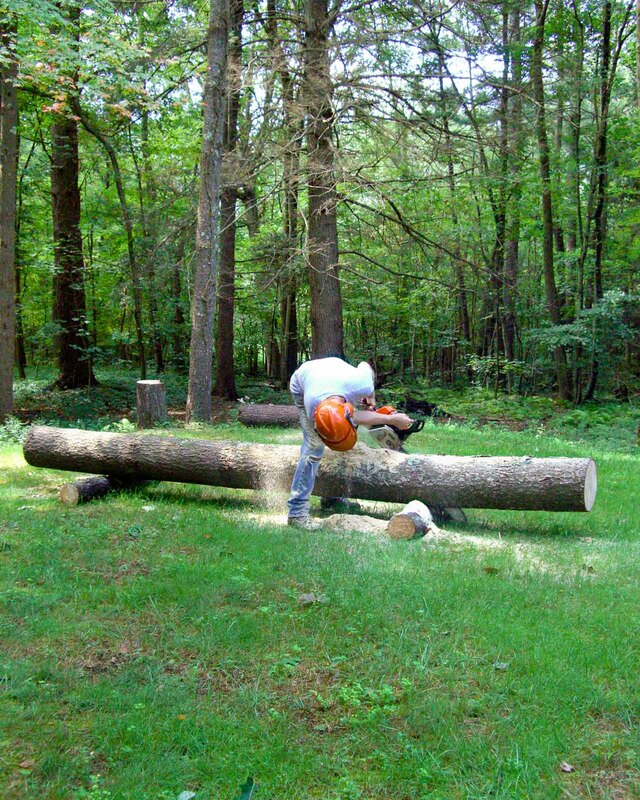 I then set the posts I’d already made, which I cut from a 6×6 treated hemlock to match the mailbox post that I made the same way. 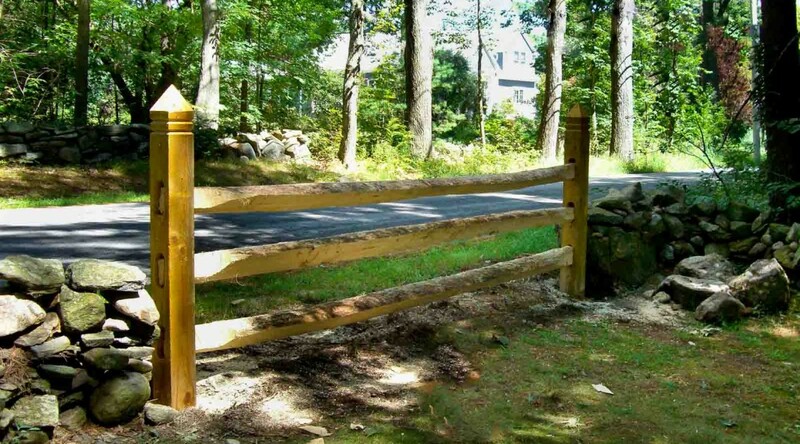 The split rail gate necessitated cutting receiving slots though. 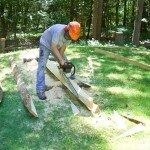 I didn’t have a Forstner bit big enough, so I used a hole saw and chisel to cut each slot through. 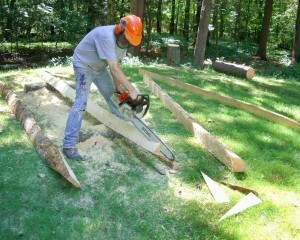 This step took longer than any other part of the project, including felling and sawing up the tree. 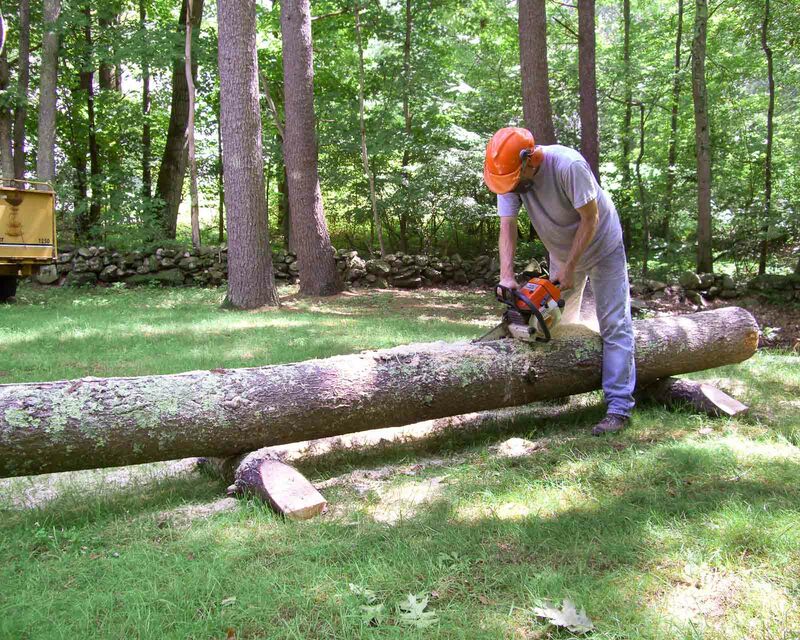 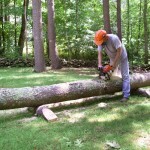 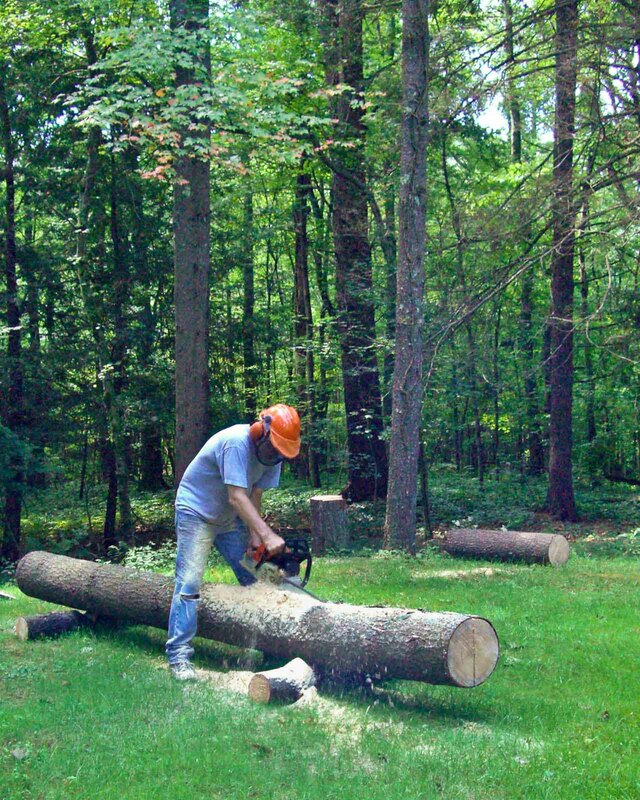 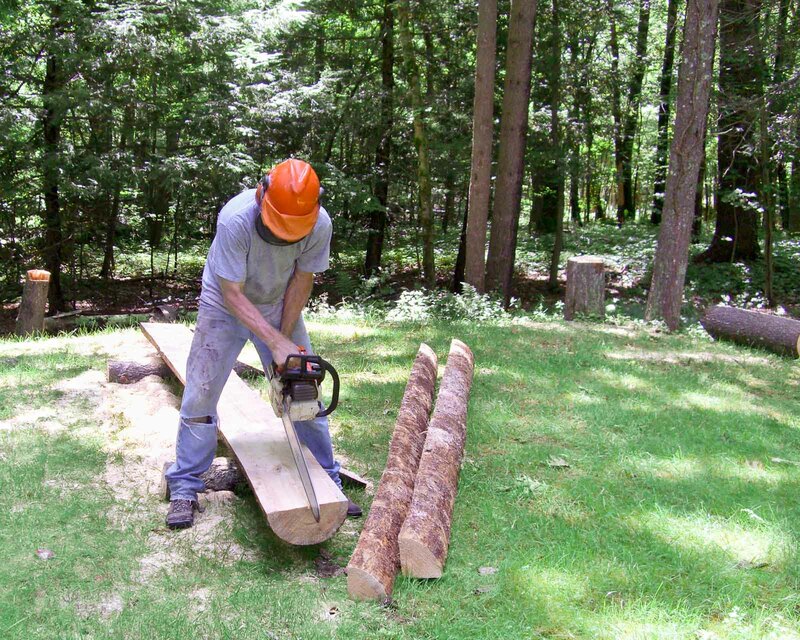 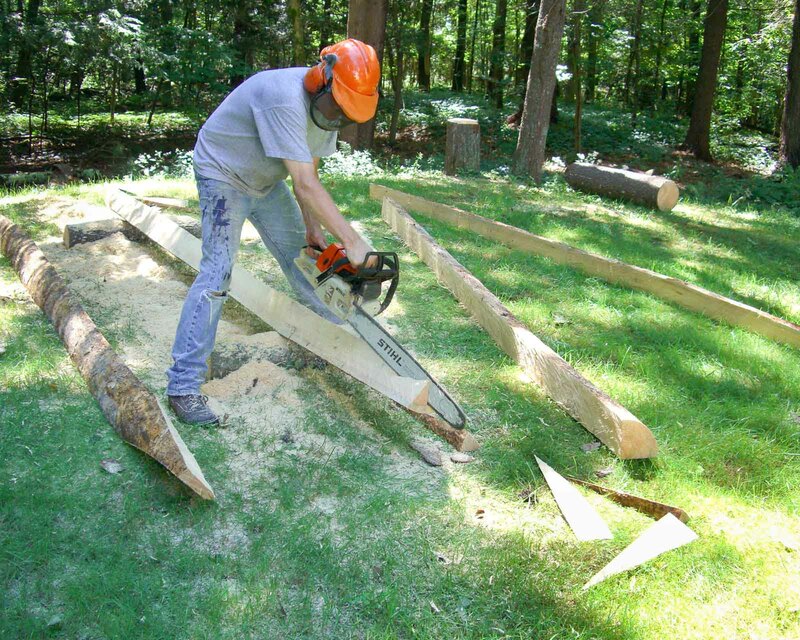 I felled a tree about 12 inches in diameter, then cut a section about 14 feet long. 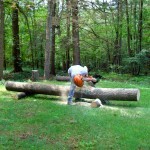 I also cut myself a couple of log horses, then split the log in half. 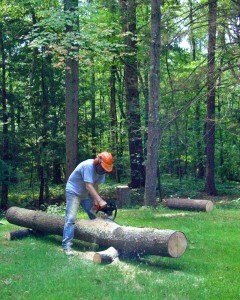 The bark just peeled away as I quartered the log. 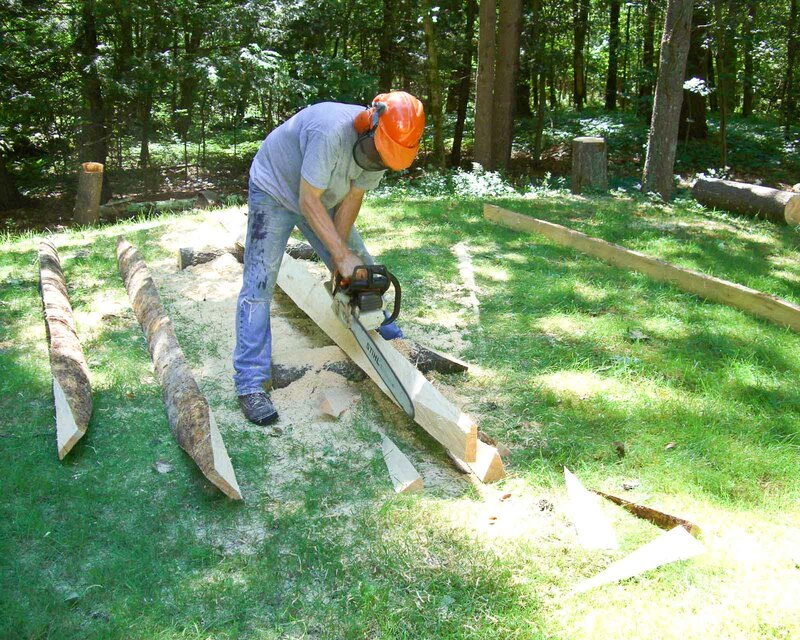 I shaped each end to fit into the posts, testing each one to make sure I could remove the rail fairly easily, as this is meant to be a gate (an infrequently used gate anyway). And here’s the finished gate with my somewhat grubby self. 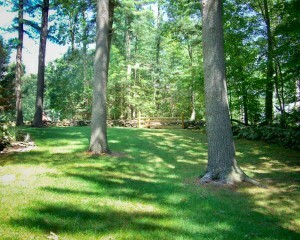 One last photo showing the view from the back yard along the side of the house to the front wall and gate.